Mindquest Academy opens new learning opportunities for adult learners in Minnesota who seek post-secondary education but aren’t yet ready to begin an academic program. At the Academy, we do this by providing online educational resources to ABE programs and community/technical colleges, resources that instructors and staff can use to serve the transitional needs of adult learners. These resources include an array of online courses and modules, staff training and certification, and program development. Our vision of success imagines adult learners moving from ABE programs into colleges, those in college moving beyond developmental courses into degree programs, and those who are not yet enrolled in any educational program moving from aspiration to opportunity. 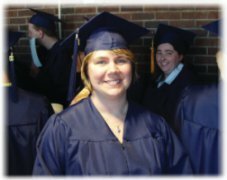 In 2001 we received a three-year grant from the Bush Foundation in St. Paul to develop a set of online college prep courses for adults who want to go to college but aren’t academically ready to do so. We enlisted the support of ten developmental faculty members from seven community/technical colleges: Minneapolis Community and Technical College, North Hennepin Community College, Normandale Community College, St. Cloud Technical College, Central Lakes College, Fond du Lac Tribal & Community College, and Rainy River Community College. These instructors advised us on curriculum development and were the first to try out very early course materials. During this grant period, the Mindquest Academy was part of the Bloomington School District's Adult Basic Education program. In the fall of 2004, the Minnesota Department of Education/ABE Department took ownership of Mindquest Academy and we affiliated with the Minnesota Literacy Council. We are currently administered through Hamline University with funding from state Adult Basic Education and Perkins funds from Minnesota State Colleges and Universities (MnSCU). From 2004 through 2007, we piloted the courses with teachers from 15 ABE programs, facilitated a teacher training program, revised and improved courses, and developed the College Prep program within North Hennepin Community College and South Central College. Mindquest Academy courses are highly interactive, involving teachers and learners in a text-rich environment. Courses emphasize strengthening critical thinking skills, writing skills, and reading comprehension. 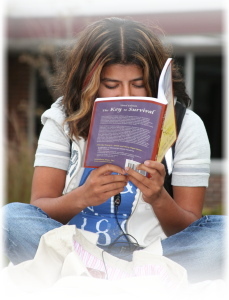 They are written at reading levels ranging from eighth to twelfth grade. All courses consist of five modules; these modules may be used separately and/or in combinations to fit individual student needs. Students can complete a course in approximately 30 to 55 hours, depending upon the type of course, student skill level and motivation. Assignments draw on students' prior experience and knowledge and their interpretation of the text. They ask students to write short answers, paragraphs, and short themes to questions that encourage interpretation, analysis, synthesis, and evaluation. Assignments also draw on Internet resources to enrich learners' knowledge. Teaching is carried out through e-mail using a communications platform. Teachers use an iterative process to help students improve their work on assignments and develop their skills and knowledge. Target populations include three main groups: students completing their studies in Adult Basic Education programs, students enrolled in developmental courses in community and technical colleges, and adults not yet enrolled in any educational program but seeking a college education. These target populations comprise adults and young adults who lack the requisite skills, knowledge, and/or self-confidence to enter and succeed in college.